Entertain audiences of all ages. 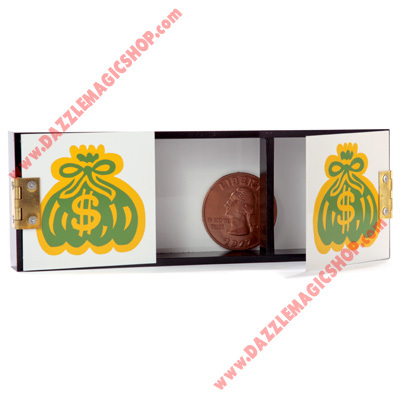 Place the provided coin on one side of the box and make it appear on the other side. String the audience along, as you slide the coin back and forth. Then the trick takes an interesting turn as you make the coin completely vanish.